One of the main differences between nuclear and other power stations is the presence of nuclear radiations. The fission fragments produced when the uranium nuclei split are highly radioactive and emit alpha-particles, beta and gamma rays until finally a stable nucleus is formed. There are many different nuclei among the fission fragments, and their half-lives vary from a small fraction of a second to many thousands of years. These decay rates are characterised by a half-life, which is the time taken by the radioactivity of a sample of a particular type of nucleus to decay to half its initial value. When they pass through the human body nuclear radiations can break up the complicated molecules inside the cells, releasing reactive radicals that can cause more damage. If the level of radiation is small few cells are affected; they are soon replaced and no harm is done. If, however, the radiation level is high, serious damage will be caused and cancers may develop during the following years. In the case of massive whole-body irradiation death can also take place. It is vital, of course, to specify just what we mean by low and high levels of irradiation, and this will be done later. The three types of nuclear radiation have different effects on the human body. Alpha-particles are nuclei of helium and since they are doubly charged they lose energy rapidly and ionise strongly, and are very destructive. Their short range means that they are harmful only if the radioactive material is inside the body. The beta rays are energetic electrons and the gamma rays are short wavelength electromagnetic radiation. They can both penetrate far inside the human body. Nuclear radiations can easily be detected by very sensitive instruments that can record the passage of a single particle, so it is possible to detect the presence of extremely small amounts of radioactive substances. This enables us to learn how they move through the atmosphere, the oceans and our own bodies. This property has proved to be extremely useful in medical research. When considering the effects of nuclear radiations on people, it is necessary to take account of the different sensitivities of the different organs of the body. This is done by defining the rem, which is the dose given by gamma radiation that transfers a hundred ergs of energy to each gram of biological tissue, and for other types of radiation it is the amount that does the same biological damage. A new unit, the Sievert, has now been defined as 100 rem. Nuclear radiations are often feared because they are unfamiliar and can cause great damage to living organisms without our being aware that anything untoward is happening. The damage only appears afterwards, sometimes very long afterwards, when it is too late to do anything about it. Our senses warn us of many dangers, such as excessive heat and some poisonous gases, and we can take avoiding action. Nuclear radiations are not alone in being invisible; many poisonous gases such as carbon monoxide have no smell, and we do not know that a wire is live until we touch it and receive an electric shock. When nuclear radiations were first discovered, they were welcomed with enthusiasm, and to some extent this was justified. In the form of X-rays they improved medical diagnosis and treatment, and bottles of health-giving mineral waters were advertised as radioactive. It was only much later, when pictures were released of the radiation damage to the victims of Hiroshima and Nagasaki, that the public image of nuclear radiations switched to one of fear. Undoubtedly this reaction has gone too far. Nuclear radiations are indeed dangerous in large amounts, but so are fire and electricity. Properly used nuclear radiations have numerous beneficial applications in medicine, agriculture and industry. Like so many of God's gifts, they can be used for good or evil. Nuclear radiations are not new; they did not first enter the world with the experiments of Henri Becquerel or Madame Curie. They have been on the earth since the very beginning. Many rocks and minerals, such as the pitchblende refined by Madame Curie to produce the first samples of radium, are naturally radioactive and emit nuclear radiations all the time. The nuclei formed by such radioactivity include radon, a gas that seeps up through the soil and enters our homes. 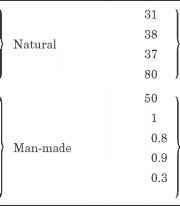 The natural radioactivity of the earth varies greatly from one place to another, depending on the concentration of rocks containing uranium as shown by Table 4.1. In addition, the earth is bathed in the cosmic radiation from outer space, and they are passing through our bodies all the time. Cosmic rays are attenuated as they pass through the atmosphere and so they are more intense at the top of a mountain than at sea level. There are radioactive materials in our own bodies, such as a rare isotope of potassium. Thus the human species has evolved through millions of years immersed in nuclear radiations. This natural radioactivity is important for estimating the hazards of nuclear radiations in general, since if the additional source emits radiations at a level far below that of the natural radiation it is unlikely to be injurious to health. In addition to this natural radiation, we are exposed to radiation from medical diagnosis using X-rays, medical treatment, atomic bomb tests and the nuclear industry. Estimates of the radiation exposure in the United Kingdom due to all these sources are given in Table 4.1. This for medical purposes is quite high but in the long term what is important is the average exposure over a long time weighted by the age distribution of those exposed. This is because the effects of radiation at levels typical of medical uses do not appear for many years so that the irradiation of young people before the end of their reproductive age is more serious than that given to older people. Since the larger part of the medical irradiation is received during the treatment of cancers, which more often afflict older than young people, the dangers to health due to medical irradiation are not so great as might appear. Table 4.2. Radiation Exposure in the United Kingdom. (National Radiological Protection Board Bulletin, March 1981; Atom, May 1981). The percentage contributions are from a later study (SONE 2006). be taken. However, before doing this, it is necessary to establish the relation between the level of exposure and the probability of lung cancer. Many studies world wide, in Canada, China, Finland, France, Germany, Japan, Sweden and the USA, have failed to establish any positive correlation and indeed in three of these studies there was an inverse relationship. Other studies (Darby et al. 2004) find that the increased risk of lung cancer due to a lifetime dose due to 100 Bq/m is about 0.1% and 25 times greater for smokers. The data used in this study were consistent with a linear dose relationship, but do not exclude different behaviour at very low energies. The validity of this assumption is discussed in more detail below. It thus seems that, particularly for non-smokers, the level of irradiation due to radon is so low that when compared with other much greater hazards it is difficult to justify such expensive precautions. Radioactive isotopes have many medical applications. If, for example, we want to know how salt is taken up by the body, we can feed a patient with some salt that contains a very small amount of a radioactive isotope of sodium. This emits radiation that can be detected by a counter outside the body, and so we can follow the progress of the sodium as it is absorbed. The amount of radiosodium needed is so small that it does no harm to the patient. In this way radioisotopes provide a valuable diagnostic tool. Radioisotopes can also be used for treatment. 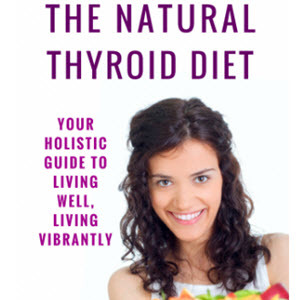 Thus it is known that iodine tends to concentrate in the thyroid gland. If therefore we want to treat cancer of the thyroid we can feed the patient with radioiodine, and it will go to the thyroid gland and irradiate the tumour, without appreciably affecting the rest of the body. Much can be learned from experiments on animals, but it is always hazardous to extrapolate from mice to men. The powerful nuclear accelerators that are used to explore the structure of the nucleus and to produce new unstable particles can also be used to irradiate tumours. The radiation emitted by radium and other natural sources has the disadvantage that it is relatively low in energy and so can penetrate only a small distance into the body. In addition, the radiation comes out in all directions equally. If we want to treat a tumour deep inside the body we need a way of irradiating the tumour that minimises the irradiation of the surrounding healthy tissue. The only way to do this is to have a collimated beam of radiation of sufficient energy to penetrate the body, and such beams are produced by accelerators. During the treatment, the patient is rotated so that the beam always passes through the tumour but irradiates a particular part of the surrounding healthy tissue for only a small part of the time. This is a difficult technique, but with great care it can be used successfully. Many nuclear accelerators such as that at Faure in South Africa are used partly for medical treatment and partly for nuclear research. There are other techniques that can be used to see inside the body for diagnostic purpose. Nuclear magnetic resonance and ultrasound are routinely used to provide a detailed picture of internal organs. At a very early stage in pregnancy it is possible to examine a baby in the womb to check that all is well. Long thin fibre optic probes can be inserted far into the body to take pictures of diseased organs, providing valuable data for the surgeon before he operates. Microsurgical techniques allow operations to be performed with minimum disturbance to healthy tissue. Many operations that formerly required large incisions and hence protracted convalescence can now be done so easily that the patient can leave the hospital the same day. Sometimes it is difficult to know whether the benefits of radiation outweigh the hazards. Thus X-rays can detect cancers early enough for effective treatment, and yet they can also themselves cause cancers. A detailed study of stomach tumours showed that for young people the dangers outweigh the benefits, whereas for older people the opposite is the case. The main radioactive hazard from a nuclear reactor comes from the fission fragments. These are intensely radioactive and some of them continue to emit radiations after thousands of years. In normal operation, nuclear power stations emit very small amounts of radioactivity into the atmosphere. These amounts are even less than the radioactive emissions from coal power stations. Professor Fremlin has estimated that the radiation dose received in Britain due to the nuclear power stations reduces our average life expectancy by one or two seconds. Figure 4.1. The Average Yearly Doses from the Natural Radiation Sources in European Countries (National Radiological Protection Board (NRPB), 1993). of 400 mS. The numbers of the genetic indicators chromosome abnormalities, mutations of blood proteins, childhood leukaemia, congenital defects, stillbirths and childhood deaths showed no differences between the children of the atomic bomb survivors and a control group. There is thus no evidence of genetic damage due to the atomic bombs. Seven cases of childhood leukaemia occurred between 1955 and 1983 in Seascale in Cumbria near the nuclear reprocessing plant at Sellafield. This number seemed to be greater than would be expected by chance, and it received much publicity. It was, however, very difficult to see how these cases could be blamed on Sellafield, since the amount of radiation emitted from the plant is far smaller than the natural background. It still remained to understand the origin of the cluster of cases of leukaemia around Sellafield. It was found that similar clusters occur in regions where there are no nuclear plants. A possible explanation is that they are connected with the influx of many people into a relatively isolated rural community, as occurred around Sellafield. Dr. Kinlen proposed that the cases are due to some viral infection. This hypothesis was tested by seeing if the effect occurs in cases of similar population movements due to the construction in rural areas of factories with no connection with the nuclear industry and indeed this was found to be the case (Nuclear Issues 20, December-January 1997-1998). To estimate the biological damage due to a particular dose of radiation we must know the relation between the two quantities. The difficulty is that the doses that cause measurable damage are hundreds of thousands of times larger than the extra doses received by people living around nuclear installations. It is often assumed that there is a linear relation between the two, so that the probability of contracting cancer is proportional to the dose. As it seems the safest assumption to make it is widely adopted in setting safety standards. There is, however, no direct evidence for this and indeed some contrary evidence (Cohen 1999). This is not unreasonable, since the body has an innate capacity to repair damage and it is only when the defences of the body are overwhelmed by a massive dose that harm occurs. Thus a dose received over a long period is less harmful than if it were received all at once. A direct result of the linear dose assumption is the setting of unreasonably strict limits on permitted radiation exposure in many industries, thus greatly increasing costs. This leads to reluctance to accept vital radiodiagnostic and radiotherapeutic irradiations, and restricts the use of radiation in industry and research. Adherence to these exposure limits led to large-scale evacuation from the region around Chernobyl, causing much unnecessary distress and suffering. It has been estimated that the present regulations imply an expenditure of $US 2.5 billion to save one hypothetical life whereas it costs $50 to $100 to save a life by immunisation against measles and diphtheria in the developing countries (Nuclear Issues 22, August 2000). The linear dose assumption is critically important when estimating the effects of small doses from a reactor accident. Thus it has led to an estimate of 9000 to 33,000 latent fatal cancers due to the Chernobyl accident. There is no direct evidence for this and it is unlikely because studies by UNSCEAR (the scientific committee of the United Nations responsible for studying the effects of atomic radiations) said in June 2000 that for the most heavily contaminated area, the Bryansk region, and apart from 1800 cases of curable cancer cases in children 'there is no evidence of a major public health impact attributable to radiation exposure fourteen years after the accident'. This conclusion was supported by four Russian scientists who confirmed 'that in all the years since the Chernobyl accident there has been no significant divergence in the overall mortality rate among the population of the contaminated area of Russia'. Furthermore, 'the overall mortality rate among the cleanup staff, who generally receive higher doses of radiation than the general public, was statistically lower than the mortality of the control group over all the years following the accident' (Nuclear Issues 23, March 2001). It is also possible that small doses stimulate the body's repair mechanisms, so that small doses are beneficial (Fremlin 1987). This is supported by an extensive study made by Frigerio et al. at the Argonne National Laboratory in 1973. They compared the cancer statistics for the USA from 1950 to 1967 with the average natural background for each State, and found that the seven states with the highest natural background had the lowest cancer rates. Unless there is some other explanation for this result it implies that the chance of contracting cancer is reduced by 0.2% per rem. Further evidence is provided by 'the higher life expectancy among survivors of the Hiroshima and Nagasaki bombs; many times lower incidence of thyroid cancer among children under fifteen exposed to fallout from Chernobyl than the normal incidence among Finnish children; and a 68% below average death rate from leukaemia among Canadian nuclear energy workers' (Taverne 2004). Many studies on animals have given similar results. Furthermore, it is found that people living in areas of high background radiation show no evidence of detrimental effects; thus a study by the Regional Cancer Centre at Trivandrum in Kerala of 300,000 people living in an area with a background dose of 200 mSv/y found a life expectancy of 74 years compared with 54 years for India as a whole. This dose may be compared with the permitted occupational levels laid down by the ICRP of 20 mSv/y and the population dose of 1 mSv/y. No carcinogenic or leukaemogenic effects have been observed for radiation doses less than 200 mSv/y. An excess of leukaemias has been found only for doses more than 400 mSv and for tumours of 1000 mSv (Nuclear Issues 20, June 1998 and 23, April 2001). Aircrews are exposed to higher doses of cosmic radiation, and so their union asked for compensation. Studies of the mortality rates of 19,184 pilots in the period 1960-1996 showed however that they actually decreased with increasing dose. The skin cancer rate was however higher because of the time they spent lying in the sun on tropical beaches. Such evidence has been widely discounted because it seems counter-intuitive. Additional evidence is supplied by the observation that 'Hiroshima and Nagasaki survivors with low radiation doses are outliving those who received no dose at all. Radiation-exposed US navy shipyard workers of the 1960s and 1970s have lower cancer rates than those not exposed. Canadian women who received small doses of radiation in hospital had breast cancer rates two-thirds those of others' (Speakers' Corner 96, May 1997). In favour of the idea of a threshold dose, it can be argued that the passage of a single nuclear particle through a cell, the lowest possible dose, can cause DNA double strand lesions. Such lesions occur naturally at the rate of about ten thousand per cell per day, whereas exposure to radiation at the current population exposure limit would cause only two lesions per cell per day. Thus radiation-induced lesions are insignificant compared with those occurring naturally. This implies that the 'risks of health effects are either too small to be observed or are non-existent at doses below a threshold value of 150 mSV or even up to 500 mSV' (Nuclear Issues 25, February 2003). A new technique for evaluating the effects of small doses of radiation has been developed by Professor Feinendegen. His results show conclusively that the linear dose assumption is incorrect: at low doses there is an additional quadratic term. Furthermore, a Joint Report of the Academie des Sciences (Paris) and of the Academie National de Medicine concludes that estimates of the carcinogenic effects of low doses of ionising radiations obtained using the linear assumption could greatly overestimate those risks (Tubiana and Aurengo, Nuclear Issues, October 2005). An extensive study by Darby et al. (2005) of the risk of lung cancer from radon found a linear dependence on the radioactivity of the air from zero to 1200 Bq/m3. The data however are not inconsistent with a threshold for doses up to 150 Bq/m3. Radon is particularly dangerous because it is a gas that is breathed directly into the lungs. Other sources, such as the cosmic radiation, consist of singly charged particles that pass through the body and thus give it a whole-body dose. Since it is likely that doubly-charged particles are much more effective in breaking the DNA than singly-charged particles it is unjustified to assume that the results of the radon study apply to all radiations. In the case of the exposure due to Chernobyl, it is possible that some radioactive dust particles will reach the lungs, but most will be stopped before they get there. The radon results thus provide no convincing evidence against the existence of a threshold dose. Another possible mechanism to account for the Sellafield cluster was suggested in 1987 by Gardner, who postulated that the children developed leukaemia as a result of their fathers' exposure to nuclear radiation. He collected statistics that showed a significant correlation between paternal radiation dose and leukaemic children. This led to several court cases by families seeking compensation from British Nuclear Fuels, the company operating the plant. The Gardner hypothesis has such serious implications for the nuclear industry that many further studies were made. These included the actual process whereby paternal irradiation could lead to childhood leukaemia, the statistics of leukaemia in the children of survivors of the atomic bombing of Japan, and more extensive studies of leukaemia around nuclear plants. The results of these studies were published by Sir Richard Doll, Dr. H. J. Evans and Dr. S. C. Darby (1994). They showed that the possibility that nuclear irradiation could cause a gonadal mutation leading to childhood leukaemia can be studied using data on genetically-determined leukaemia. The detailed statistics shows that there may be a recessive mutation that could contribute to a number of the observed cases. However, 'it effectively excludes and major contribution from the type of mutation that would be required to account for the appearance of the Sellafield cases in the first generation, namely a dominant mutation with a high degree of penetrance'. Another study of over 20,000 children of employees of British Nuclear Fuels and the UK Atomic Energy Authority showed that these children were no more likely than any other in the general population to develop any kind of cancer, including leukaemia. Further studies showed 'no link between birth defects, miscarriages, or stillbirths and paternal pre-conception irradiation'. The same applies to the very small number of women working in radiation areas during pregnancies (Nuclear Issues 22, October 2000). Studies by Neel and colleagues of 'the children of atomic bomb survivors including more that 1500 born to parents who received a gonadal dose of one sievert or larger, revealed no clearly increased frequency of mutations'. These doses are far higher than those received by the Sellafield workers. Further studies were made of all the leukaemia cases in people under 25 years of age, born after 1958 and between the years 1958 and 1990, in Scotland and a part of north Cumbria near the Scottish border, and of all children under 15 born near five nuclear installations in Ontario. They found that 'neither set of results supported the probability of a hazard from the father's occupation'. Several other studies reached the same conclusion. Thus the authors conclude that 'the association between paternal irradiation and leukaemia is largely or wholly a chance finding'. They note that there appear to be 'small but real clusters of leukaemia in young people near Sellafield, and some other explanation for them needs to be sought'. This highly authoritative study should finally lay to rest the fears of radiations from nuclear installations, but whether it will or not depends on the mass media. The presence of leukaemia clusters, and particularly the Gardner hypothesis, has been widely publicised by organisations opposed to nuclear power. This has encouraged families with children suffering from leukaemia to seek compensation, but when the scientific evidence is laid before a court, the judgement inevitably goes against them. There is also some concern about the radiation dose received by people who eat sea food from the Sellfield region. Studies have shown that the few people who eat very large amounts may receive an extra annual dose of 0.35 mS. Those living near Sellafield may receive an extra dose of 0.25 mS. This is to be compared with the average annual background dose of 2.2 mS per year and about 8 mS in Cornwall. Similar studies on other countries give the same results. The Danish Minister for the Environment has criticised Sellafield for releasing the isotope technicium 99 into the sea. Measurements in the Kattegat show that the resulting radiation level is between two and three Becquerels (Bq) per cubic metre and 0.1 Bq/kg in fish and 20-25 Bq/kg in lobsters. This may be compared with the natural radioactivity of sea water that amounts to 12,000 Bq/m3. If a fish-lover consumes 50 kg of fish and 20 kg of shellfish per year, the resulting radiation dose is about 0.14 microSv. For comparison, a person inside a typical Danish house receives an annual dose of about 30 microSv so that while eating the fish the dose from the air is about 200 times that from the fish. Furthermore, all fish and shellfish contain polonium 210, and this gives a dose about 300 times that from the technicium (Nuclear Issues 22, May 2000). The technicium discharges from Sellafield have now ceased. It has been claimed that the Irish Sea is the most radioactively contaminated in the world. In fact, measurements show that the eastern Mediterranean, the Persian Gulf and the Red Sea, where thousands of tourists swim every year, are ten times more radioactive. The Irish Radiation Protection Board has now estimated that the radiation dose from the Sellafield discharges to a heavy fish eater is 0.00133 mS/y and for a typical consumer 0.0003 mS/y (Nuclear Issues 24, September 2002). A comparison with other sources of radioactivity shows that 'the major source of man-made radioactivity comes from the North Sea oil and gas operations of Denmark, Norway and the UK', and this is much smaller than the natural sources. 'The collective radiation from all natural background sources for the European community is put at 844,000 mS/y. The collective dose from the natural isotopes present in sea water is bout 17,000 mS/y. In the year 2000, the total collective dose from all man-made discharges into the sea amounted to 300 mS/y, of which 260 mS/y came from the phosphate fertiliser and oil industries. The contribution from all radioactive isotopes discharged by the nuclear industry, including the fuel reprocessing plants at Sellafield and La Hague, was only a minute 14 mS/y, over 1000 times less than the natural activity in the seawater' (Nuclear Issues, April 2003). Detailed studies by the National Radiation Protection Board and the International Commission on Radiation Protection of the life histories of thousands of workers have shown 'that there is no evidence that radiation workers have cancer mortalities which are higher than those for the general population'. If anything, the statistics showed smaller rates. A study of workers in the UKAEA in 1985 showed that their death rates from cancer were 22% lower than the national average, and 14,347 workers at Sellafield had an average mortality rate from all causes that was 2% less than the national average. A study of 21,358 men who took part in the UK atomic bomb tests in Australia and the Pacific showed no detectable effect on their life expectancy or on the incidence of cancer and other diseases. The concern about nuclear radiation has diverted attention from other threats to our health. Radiation is responsible for only about 1% of diseases worldwide, and most of this comes from the natural background and from medical uses. The nuclear industry is responsible for less than 0.01%. The vast sums spent to reduce this still further could be spent far more effectively on simple disease prevention. It is greatly in the public interest that these matters should be treated as objectively as possible, taking full account of the scientific evidence. This would avoid much unnecessary anxiety and enable the best decisions to be taken concerning our future energy supplies.